They also had to bake/cook in the foil. The quickfire winner, Kristen, made a dessert. When doest that ever happen? She made a chocolate almond cake, mixed and baked in foil. I was all over that; one, because I love almond anything, and two, because they never do desserts! Now is my chance! I thought, after last week, when CJ left, that I wouldn’t care who went on anymore. Now I want Kristen to keep going. Gives CJ a little more chance in Last Chance Kitchen. He won again, opposite Danyele, who got voted off this past Wednesday. Go CJ go! So yeah, I didn’t make this in foil. And I used a cake mix. But it’s good, so who cares? Plus, if you need a super quick, last minute gift idea for Christmas, this is your new BFF! I love “mug” cakes or single serve cakes because they come together fast and are instant portion control. My ratio is 1 tablespoon cake mix to 1 tablespoon water, plus any add-ins. This time I added almond extract and chocolate chips. And sprinkles, of course! 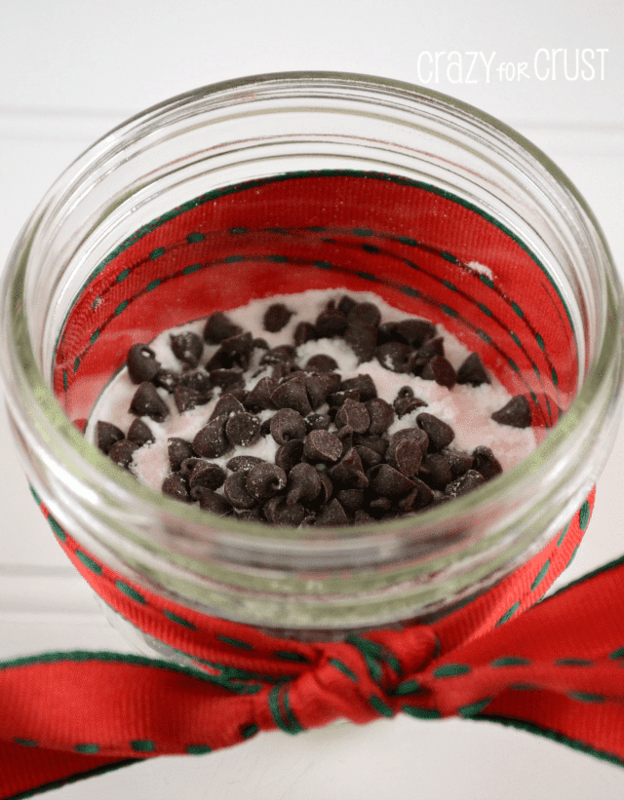 Simply leave out the wet ingredients, add a tag with some instructions and you have a great gift! Are you watching #TopChef? What about Last Chance Kitchen? And, don’t forget. If you’re not as in loooove with CJ as I am, you can still vote to save a chef in the Who Stays? Who Goes? You Decide! competition. You can tweet #savechefkuniko or #savechefdanyele until next Wednesday. Place all ingredients in a jar or mug. Stir to combine. Heat on HIGH in a microwave for 30-40 seconds. Top with a few extra chocolate chips and/or sprinkles. 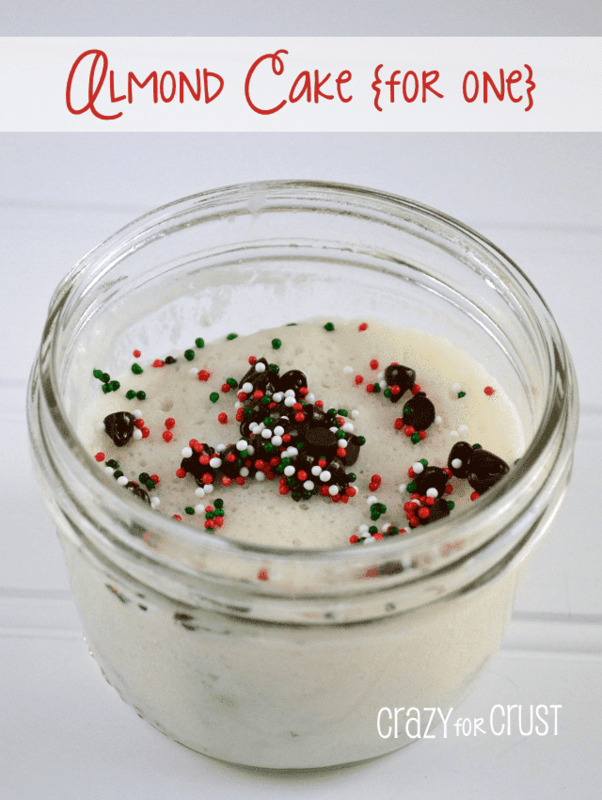 If you are giving this as a gift: place cake mix and chocolate chips in a jar. Add a tag to the outside of the jar that says: "Add 1/8 teaspoon almond extract and 3 tablespoons water. Stir and microwave on HIGH for 30-40 seconds. Enjoy!" 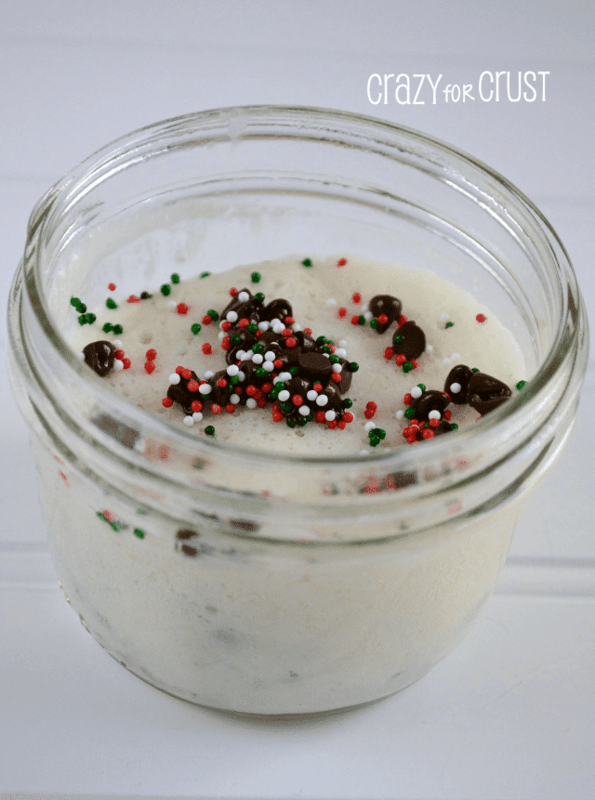 Check out Something Swanky, who gave me the idea for my mug cakes in the first place! Head to Bravo to check out more from Top Chef, or find the Top Chef Episode Guide here. Content and/or other value provided by our partner, Bravo. I am a member of the Top Chef A-Listers and this post is sponsored by Top Chef. All opinions are 100% my own.